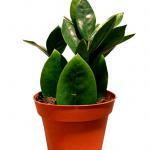 Zamioculcas zamiifolia is an incredibly surprising plant. Its propagation seems to call upon all possible means of reproduction! It’s a good thing that many techniques for propagating Zamioculcas zamiifolia exist, since its growth is very slow. Brace yourself for up to half a year of patience or more! 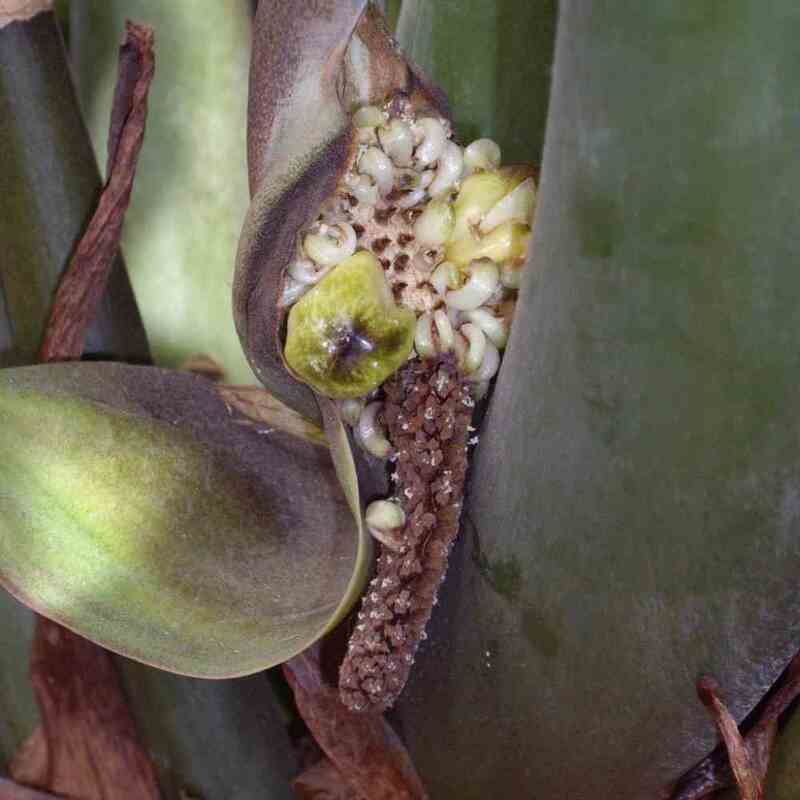 There are several possible ways of multiplying an existing Zamioculcas zamiifolia plant: cuttings from leaves or stems, root ball division, and waiting for it to go to seed. This is applicable both for the more common green ZZ plant varieties, as it is for the new, striking black raven ZZ plant. 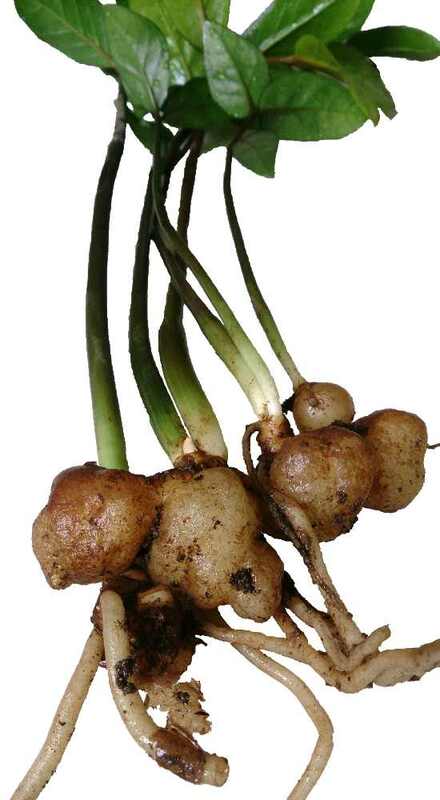 These plants grow tuber-like extensions where water and nutrients are stored along the underground rhizome. After a few years of growing, several tubers will have developed. This is called crown division or dividing the root clump for the Zamioculcas. Refrain from watering for at least 2 weeks. Remove the plant from its pot delicately. 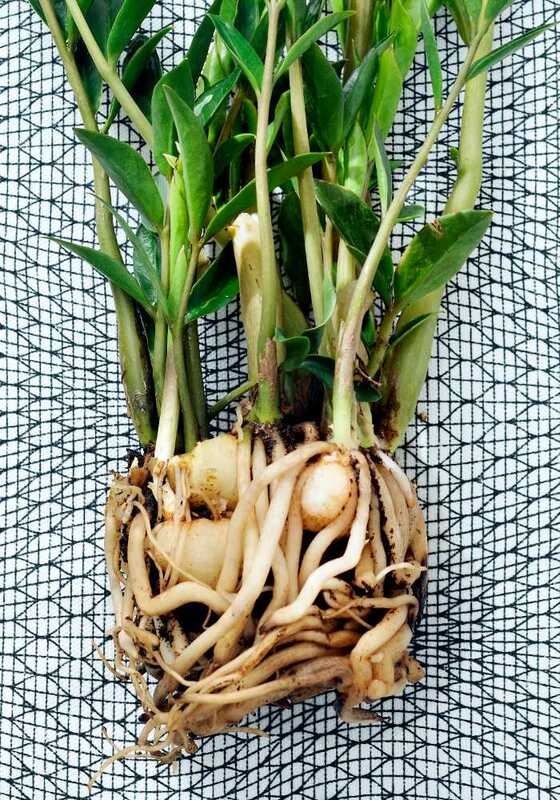 Separate a tuber from which both root and stem are growing, threading the roots out without damaging them. It may require slicing with a clean blade. If wounded, cure the plant for a day (let it dry in open air in the shade). 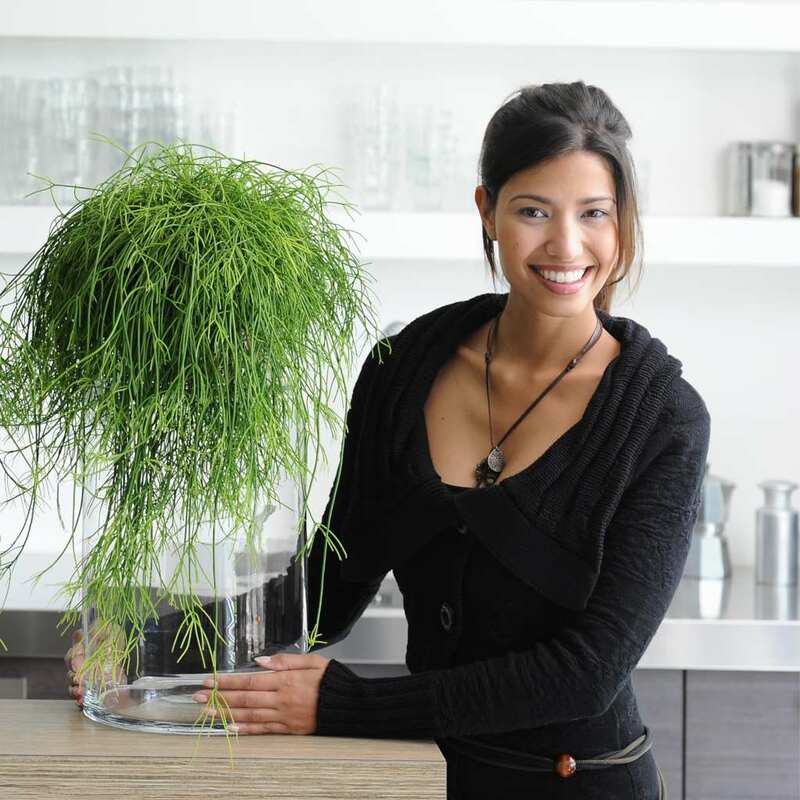 Plant each separated plant into a clean pot with a layer of drainage at the bottom and light, well-draining soil. This is the quickest propagation method. 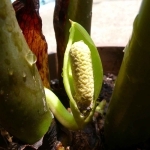 It has the advantage of producing several new leafy plants immediately. Here’s a video that shows how it can be done very carefully. It’s also possible to simply slice through the bunch with a sharp knife, but this will create more wounds that will have to heal. This method is perfect to recycle your Zamioculcas trimmings when you prune your plant after it has grown too large. Snip the leaf scapes (or stems) into portions at least 6 inches long. It’s also possible to keep a scape whole. 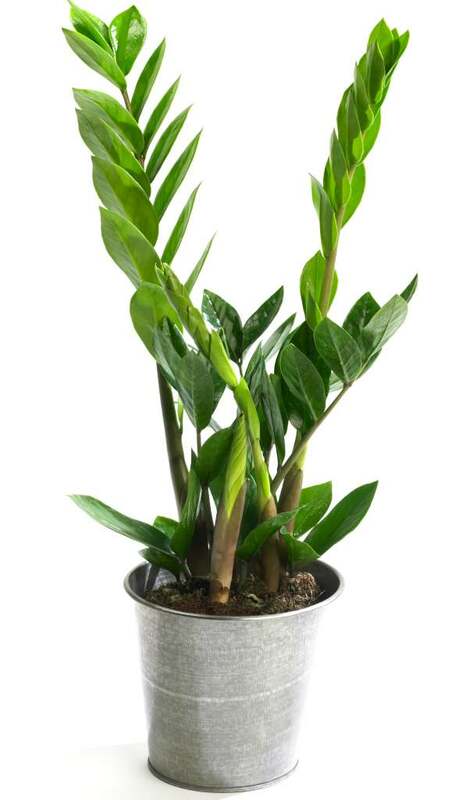 Place the Zamioculcas stem in a tall glass of water. Change the water every three days to one week. Roots will start developing at the immersed tip. When the roots are over an inch long, carefully transplant to a pot with well-draining soil and a hole at the bottom. It takes at least 3 weeks for the first roots to grow, and they’ll be an inch long after 3 more weeks. 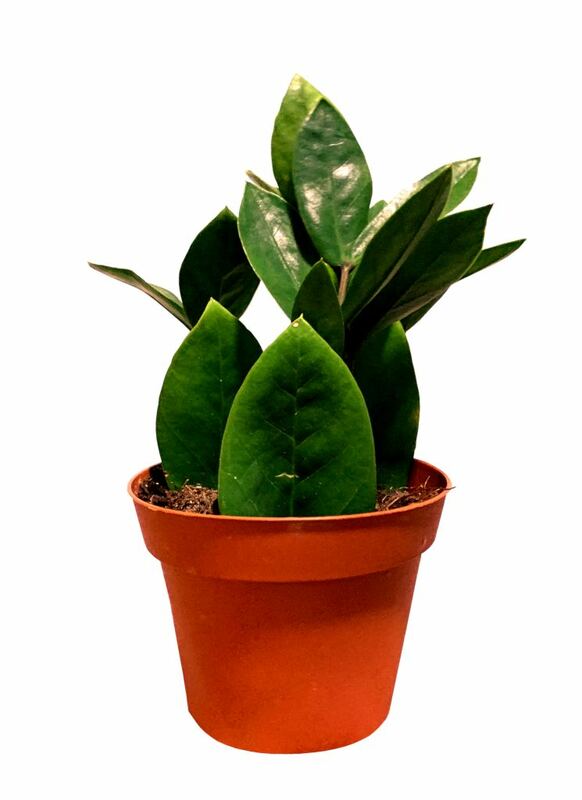 The advantage of this method is that each propagated zamioculcas already has one full leafy scape to start with, which is great for giving away to friends. 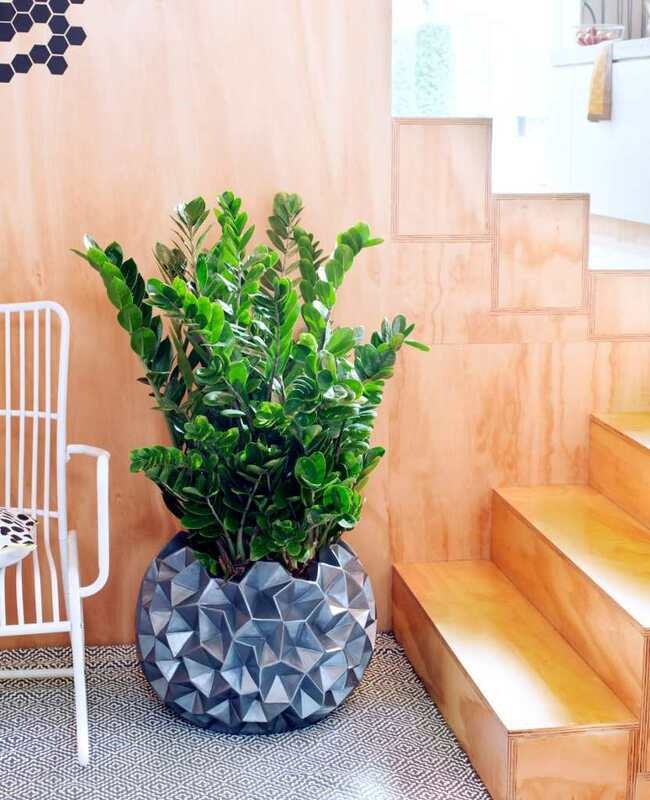 Tip: you can also plant your Zamioculcas trimmings directly in soil without the water-in-glass requirement, as long as you endeavor to keep moisture constant without drowning the plant. This relies on the same properties as the previous method: roots will develop at the base of leaves as they did for stems. Cut a healthy stem off from the Zamioculcas plant. Detach each leaf from the plant by pulling them out delicately. Let the plant tissue scar for a couple hours in the shade. Prepare trays equipped with clear covers filled with soil mix. Prick the zamioculcas leaves in, stem facing down, to a depth of half an inch (1 cm). Space leaves by about 2 in (5 cm) to each side), and water. Seal the trays or wrap the pots in clear plastic to lock moisture in. Keep the trays in a warm greenhouse or on a windowsill indoors. The leaves will wilt away, but tubers will start forming and eventually new shoots will appear. Tip: use this method to reuse leaves that have fallen from your Zamioculas plant when under water stress. Note for people trying to propagate the dark-leaved Zamioculcas zamiifolia ‘Raven’ – fresh new shoots always start off bright green and only turn dark black as time passes. This is probably the least common method of multiplying your Zamioculcas. Flowers appear randomly and have evolved to be pollinated by crawling insects, something offices and houses don’t have much of! The flower has two different portions: the tip is the male part, and the base just at the husk is the female part. As sterile zone separates both to reduce self-pollination. 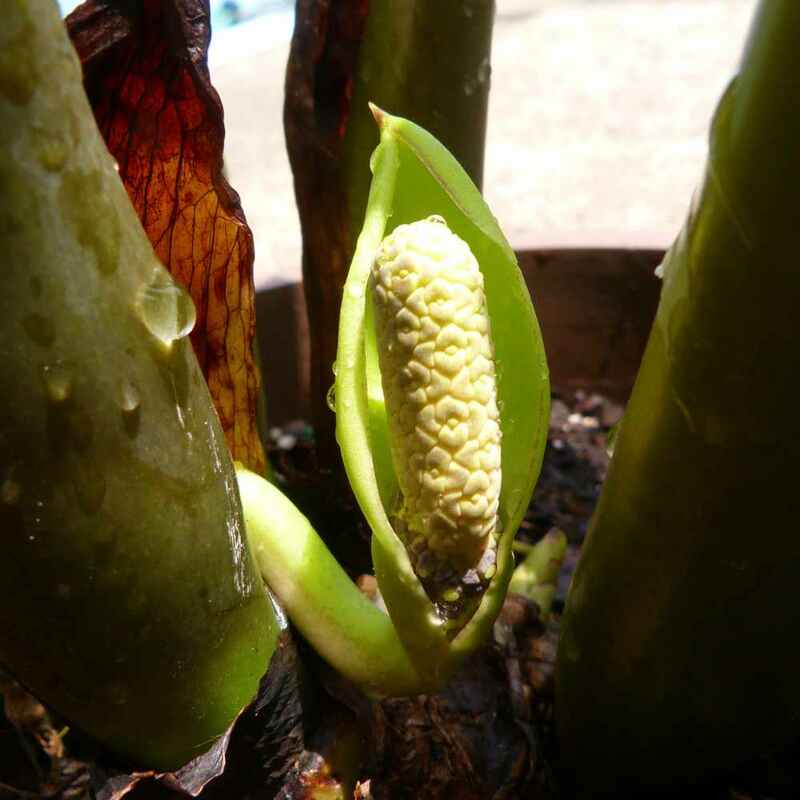 When the female flowers are ready to be pollinated, the husk (or spathe) folds back and the flower bends down to the ground, granting access to insects. These are attracted from flower to flower, brush up against the male portion before reaching the female portion. A few flowers will develop into fruits that bear seed. It’s possible to mimic the path that insects would follow with a moist, fine paintbrush at the appropriate time. Fruits will appear with seeds inside them. Seeds can be sown and, in time, will germinate.